Most smartphone and tablet flatrates imply that you get a certain data volume per month. Once it's been used up it will take a lot longer for data to transmit. In order to make sure that your data volume lasts you all month it's worth monitoring how much is actually being consumed, and by what. Traffic Monitor Plus is a tool that helps monitor data transfer. Find out more below. 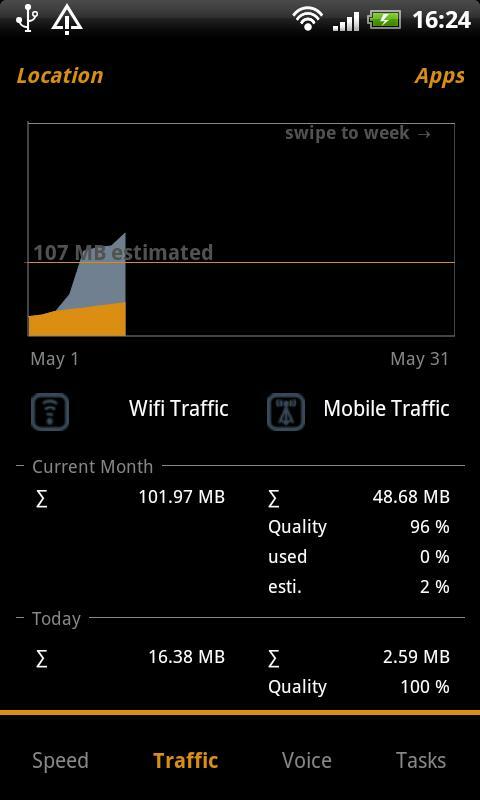 Traffic Monitor Plus is a tool that monitors data traffic via WiFi, mobile network and phone usage. 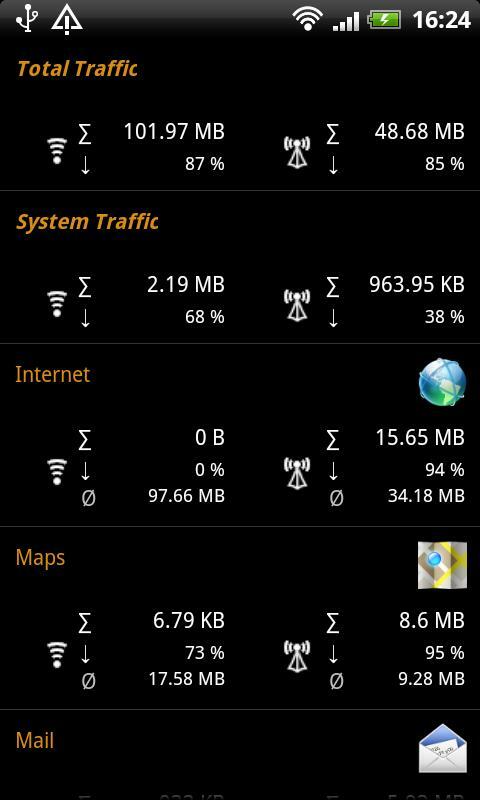 It also provides detailed statistics as well as tests the network speed so long as the app remains active. In doing so it records how much data is being used by what, where and in which way. Over time this provides a good means for figuring out how much data volume is used by which network. Furthermore, the application will tell you which other applications and network points use up data, listing stats by fixed time references (week or month). Network points are defined with the help of the mobile cells of a WLAN/WiFi network. 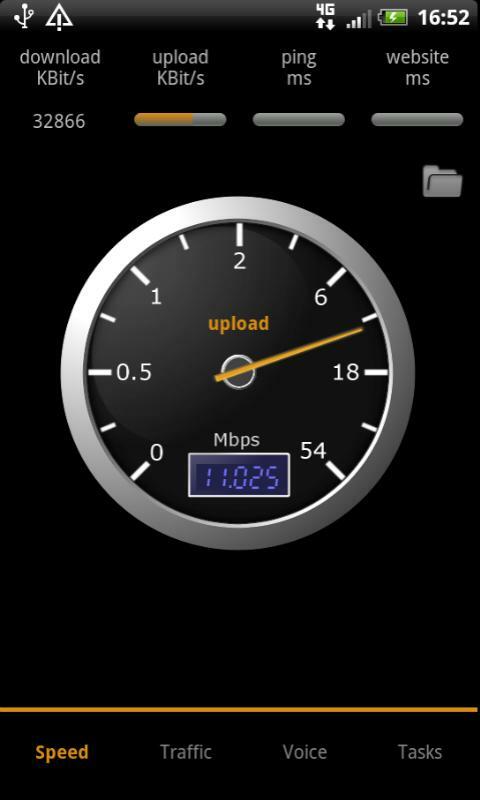 The app also displays the data relation between upload and download. The application can also do so-called speed tests to test the quality of a given connection and thus the expected data consumption. Speed tests check the current network's speed (download and upload) and the Ping. Results are then compared with other providers from the same region. Our jury's out on how effective or reliable these comparisons are. You can set up warning notifications for whenever a certain data volume has been reached within a set time frame. 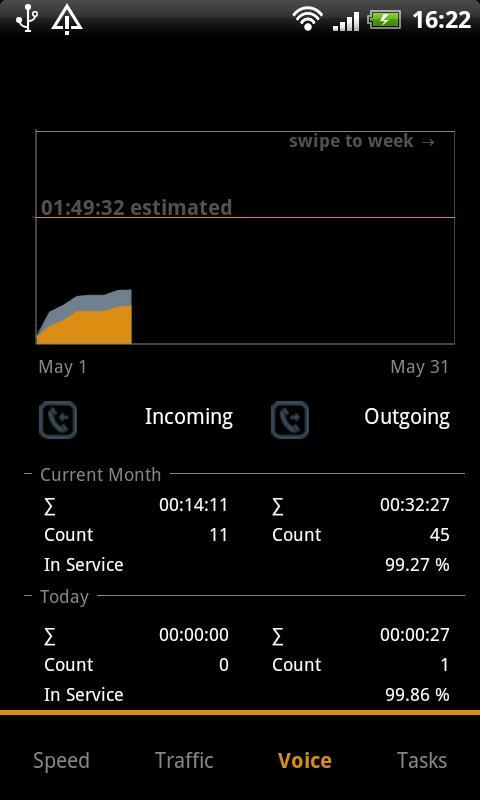 Monitoring phone usage works in a similar way: call durations and frequency of calls are analysed and displayed in a week/month view. Statistics reveal how available the mobile network is as well as the call success rate. So far so good, but the app also harbours a few completely useless features, IMO: the Traffic Manager, for instance, can shut down active apps, which is something that will only very rarely come in handy on Android devices. 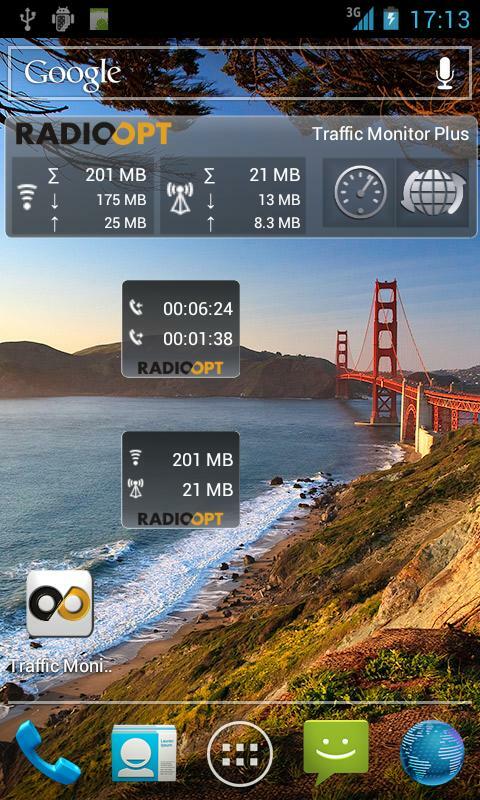 On a more positive note: the widgets are well made and render important infos easily accessible. Traffic Monitor Plus manages its core function (i.e. monitoring data traffic) very well indeed. It also supplies users with useful stats, but we found some of the terminology to be too specialised, making it almost cryptic at times. While the speed test is a fun gimmick, we would like to see the results listed as statistics. We're not impressed by the Task Manager, but then again it doesn't affect the other functions in a negative way and thus can simply be ignored. Traffic Monitor Plus is set up to display information in list format. This helps keep the overview simple and understandable. What we found problematic at times are the abbreviations and terms used for data (some of them mathematical), and we had to stop and think as to what some of them stand for. The design is simple and adequate, globally speaking. Some of the tabs should be highlighted in a way that sets them apart more from the rest of the text. Traffic Monitor Plus performed nicely and without any delays. The Task Manager takes a few seconds to display the current traffic. Traffic Monitor Plus can be downloaded free of cost from the AndroidPIT App Center. There are no ads. Great! What's that for a tablet?